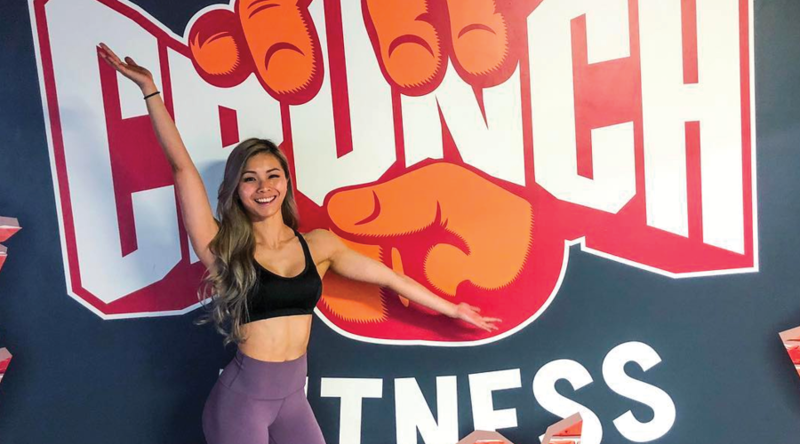 We met up with one of our lovely Crunch members Helen Huang to find out her motivation tips and tricks that won her 3 separate bodybuilding titles and gave her a new found love for herself and her life! Helen is an Australian Miss ANB (Australasian Natural Bodybuilding) Universe champion, an ANB Bikini Pro, and she’s also a super dedicated Crunch Fitness member! Read on to find out all her advice on smashing fitness and life goals plus learn about her journey as a Bodybuilding champion. What inspired you into starting your fitness and bodybuilding journey? Some people say it was the hardest thing they’d done in their life! I’m always looking for ways to further my own personal growth; I like to put myself through situations where I have no choice but to sink or swim. So it was intriguing to me – I did it because I knew that whatever the outcome, I would come out a stronger, more experienced person. How do you prepare for your competitions? Do you have a workout schedule you stick to? Or any special tips? Everyone’s body type and mindset is unique so how I would approach a competition is probably completely different to the next person. For me, I follow a 5-day training program with a focus on muscle hypertrophy. I train with weights one (or two) body parts per day. For example: Monday = shoulders, Tuesday = legs, Wednesday = arms etc. and reserve Sundays for stretching and foam rolling. My first tip to anyone wanting to start is to always get a good coach who can guide you through the whole process. Also, surprisingly competing is just as much a mental challenge as it is a physical one. When you’re on a calorie deficit, hungry and hangry it can take quite a mental/emotional toll. Having someone experienced to lead you is extremely beneficial. So you have a lot on your plate right now, from studying to working to travelling and training for competitions. Do you have any advice for making it to the gym even when you’re super busy? If you counted up every minute of the day where you were procrastinating on Facebook, sitting around doing nothing, playing on your phone, you’d probably be surprised how much time it adds up to. Reallocate that time to doing something productive. Always keep your goals in mind and make sure that whatever you’re doing is always contributing to that. Discipline and time management are key. Treat every gym session like an APPOINTMENT! Pencil it in your diary if you have to! In my first comp prep, I scheduled my gym sessions every morning at the same time. I used to stress myself out for being late to the gym! The Crunch receptionist at the time couldn’t understand why I was so stressed about being late to my own workout. With enough time, it just becomes a habit and ingrained in your lifestyle. What do you do when you don’t feel like training? What do I do when I don’t feel like training. Show up! That’s 50% of the work done. It’s all in the mind. Motivation isn’t always going to be there, so that’s when discipline comes into play. I am competing again this year! Currently 11 weeks out from my next comp which is the Ms Fitness Australia held in Adelaide. I begin my cutting phase very soon. I’ll then be back in Manila in October for the ANB Universe to defend my title from last year. Then I’m off to Vegas to compete in the PNBA Natural Olympia in November. So you have been a Crunch Fitness member for quite a while now, what is it that you love about your Crunch gym? The people, the staff, the vibes, the range of equipment, the SIZE of the gyms (oh and who can forget the amazing price!). Being a Crunch member is like being part of a family. My membership with Crunch is my first and only gym membership ever! I’ve trained at a lot of different gyms but I believe the fact that I’m still here is a testament in itself. Finally, we would love to know how has your fitness journey helped you live a better life? Do you feel more body confident? Do you feel happier? 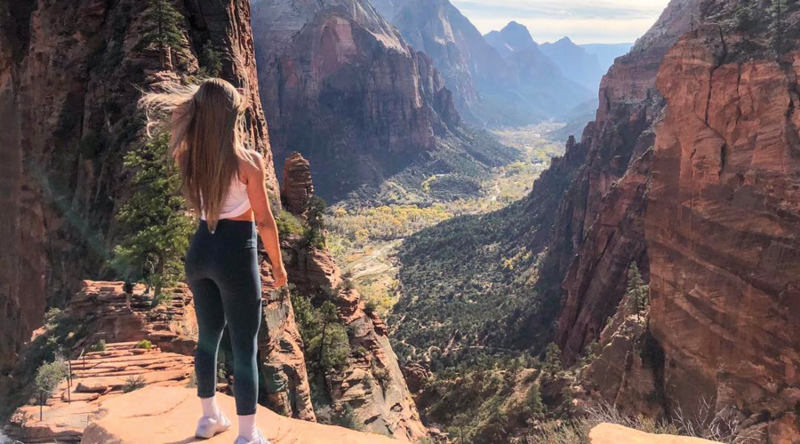 How has fitness helped me live a better life? Fitness has not just helped me live a better life, it has transformed my life. In complete honesty, I suffered a lot with insecurity and lack of self esteem a few years back. Training regularly has pulled me out of that rut and given me a confidence that I didn’t even know I had in me. And with this newfound confidence, my outlook on life changed. It’s helped me in my work, studies, making decisions, friendships, and connections with the people around me. I feel capable and worthy – I believe everyone deserves to feel this way. And that can begin with your next workout! Congratulations Helen on winning 3 months free added to your Crunch membership! We’re sure we’ll be seeing amazing things to come! If embarking on your own personal fitness journey just like Helen’s is something you’ve been thinking about, get in touch with one of our friendly Crunch Fitness staff members. Whatever your goals or aspirations are, we have a team of world class personal trainers who are ready to take your sessions and goals to the next level.